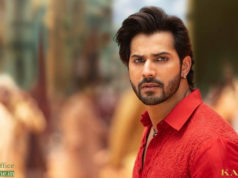 After a fantastic opening weekend, last Friday released the much-anticipated Hindi film Luka Chuppi remained super-strong throughout and passed its first week on a strong note. Due to a solid word of mouth, the film has diverted major audience toward itself and emerged superhit within a week. Kartik Aaryan and Kriti Sanon starrer romantic drama Luka Chuppi has got succeed to impress everyone. In the first weekend, it registered the excellent business of 32.13 crores which included 8.01 crores on Friday, 10.08 crores on Saturday & 14.04 crores on Sunday from around 2100 screens nationwide. Then on weekdays as well, Laxman Utekar’s directorial maintained a solid pace and minted the amount of 7.90 crores on Monday, 5.04 crores on Tuesday & 4.60 crores on Wednesday. On Thursday, with a further drop, the film raked 4.03 crores raised its one week total to 53.70 crores nett at the domestic box office. 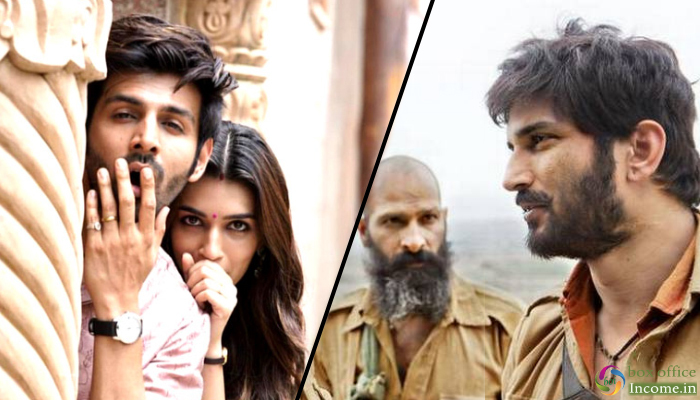 While on the other hand, the other anticipated Hindi offering Sonchiriya has also received positive reviews from the critics but fails to attract audience. 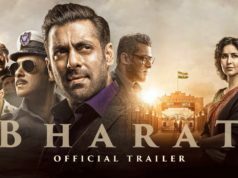 In the opening weekend, it did the business of 4.60 crores with 1.50 crores on Friday, 1.60 crores on Saturday & 1.90 crores on Sunday from 720 screens across India. Then on weekdays, Sushant-Bhumi-Manoj starrer faced a downtrend and bagged the amount of 0.80 crores on Monday, 0.50 crores on Tuesday & 0.40 crores on Wednesday. On the next day i.e. Thursday, it managed to collect 0.32 crores and raised its one week domestic total to 6.62 crores nett.